Last week webtexttool facilitated an online webinar in collaboration with Ebay. The central theme was: keywords. Questions like “how do you choose a good keyword” and “is it better to use specific or general keywords” were answered. The webinar was joined by more than 150 webshop owners. This article highlights the key takeaways. 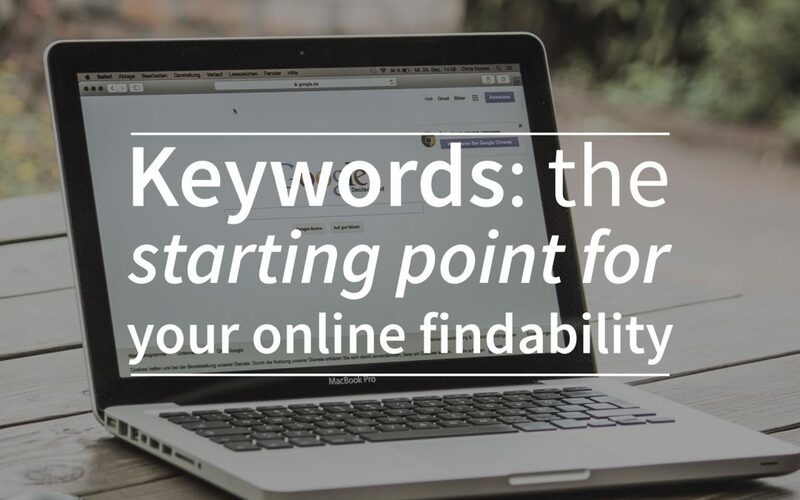 Keywords help with being found by the right visitor and to attract more visitors. Practically, search engine optimization contributes to more website traffic and revenue. It’s also important that search engines understand what your web text is about so your webpage can be indexed correctly. Search engines do this by using keywords. A keyword creates a focus for the reader, the writer and eventually the search engine. This makes it easier to make your text scannable for the online reader. In the webinar Marcel Leeman, CEO of webtexttool, called a keyword analysis: “searching for the holy grail”. What you’re looking for is a keyword with a high search volume and low competition. These keywords provide a good chance of ranking high in the search result, as they don’t have the focus of many other websites. Having a large search volume will increase your chance of website traffic. Step 1: Name the main topic of your website. Start by yourself and ask people around you for input. Step 2: Work out your main topic by finding words that relate, are associated with or are synonyms to your topic. In short: make a list of all those words that relate to your product or service. Tip: a useful tool in this step is Ubersuggest. Step 3: Check the search volume for the words on your list. Choose the keyword with sufficient search volume and low competition. Tip: useful tools in this step are: Google Keyword Planner and webtexttool. An additional practical tip from the webinar is to add intentions to your keyword. The words ‘comparison’ or ‘review’ show that the visitor is still in the comparative phase. Words like ‘buy’, ‘coupon’, ‘discount’ and ‘deal’ show the customer’s intention to purchase. The content on your webpage can be more specific; for example, you can provide information about buying the product instead of a product comparison. Once you have found the right keyword you apply the keyword in your content in a way that your readers and the search engine understand what the content is about. In addition, there are some technical factors that are part of this process. You can search for all the SEO rules and apply these to your content. You can sign up for a course, outsource the process or use tools like webtexttool. In the keyword suggestion tool webtexttool will help you to find the right keywords for your content. Your keywords will be analyzed and more keyword suggestions will be generated, which is ideal for inspiration and analyzing search volume and competition. Once you have found the right keyword you can use the webtexttool editor to apply the keyword directly. In the editor you’ll receive live optimization tips for your web text. Would you like to try it yourself? Create a free trial account now and decide on your keyword.